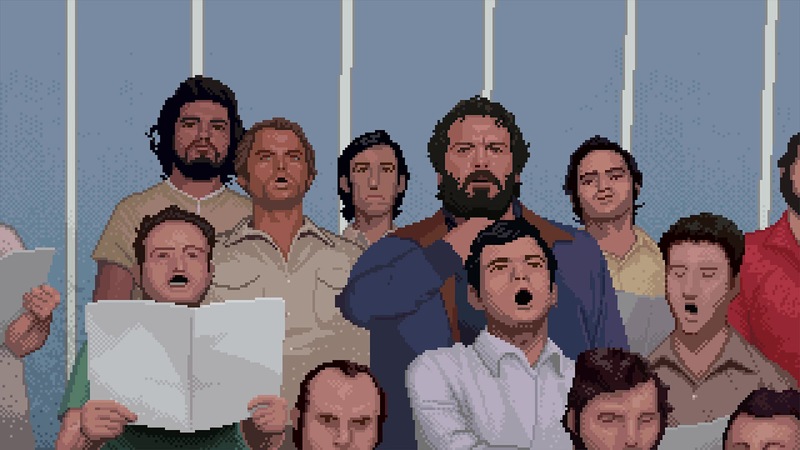 The first OFFICIAL Bud Spencer and Terence Hill videogame! Bud Spencer and Terence Hill in their first virtual adventure. A brand new story! Whether in the Western Saloon, Miami Downtown, at the fairground etc... you'll get the full load of funny conversation, slaps and of course lots of mass brawls. Slaps And Beans is a co-operative or single player scrolling beat’em up game with the addition of platform elements and mini-games in which you'll interpret the characters of Bud Spencer and Terence Hill.